Good sound that cuts the cord doesn't have to be prohibitively expensive. Headphone manufacturers have been trying to woo the budget-conscious with increasingly better options that cover the gamut on fit and finish. Finding a pair of Bluetooth wireless headphones isn't hard. They're everywhere these days, and they come in different form factors. Over-ear, on-ear, wireless earbuds, sport-focused — there are countless options. As more phones eliminate the headphone jack, including newer models like the iPhone 8 and 8 Plus, iPhone X, Google Pixel 2 and 2 XL and the Essential Phone, going wireless will become more of a necessity. What kind of fit are you looking for? Wireless and sports earbuds are the lightest and most portable; over-ear headphones provide a snugger fit to isolate audio playback from outside ambient noise. A noise-canceling model in the list below takes that premise further. On-ear headphones are in the middle because they cover the ears without cupping them. They can be lightweight enough to wear comfortably anywhere, yet robust enough to pump out better sound than a pair of earbuds. Are they compatible with the device(s) you want to use them with? Not every device supports every common audio codec, and that goes for Bluetooth headphones too. (Codecs encode, compress and decode streams of data, like raw audio — and they do it in different ways.) Apple devices work with AAC (Advanced Audio Coding), for example, whereas Android devices generally support aptX, a codec owned by Qualcomm. The support is usually mutually exclusive, so if aptX support is listed, but AAC isn't, the headphones might not be an ideal choice for your iPhone, iPad or Mac. Many will support both, but you may want to double-check to make sure. You'd be hard pressed to find Bluetooth headphones nowadays that don't make phone calls, but now, many also have onboard controls to access voice assistants, like Apple's Siri and Google Assistant. This makes it easy to make calls, ask the assistant a search question or control a compatible smart home device. It's a reasonable concern for anything that runs on a battery and might be used in sweaty conditions. While not all Bluetooth headphones are necessarily designed for active use cases, some are marketed for those very purposes. Also, manufacturers typically base battery life ratings on usage at 50% volume levels. Going higher may drop the overall life per charge. Can Bluetooth headphones also work as wired headphones? 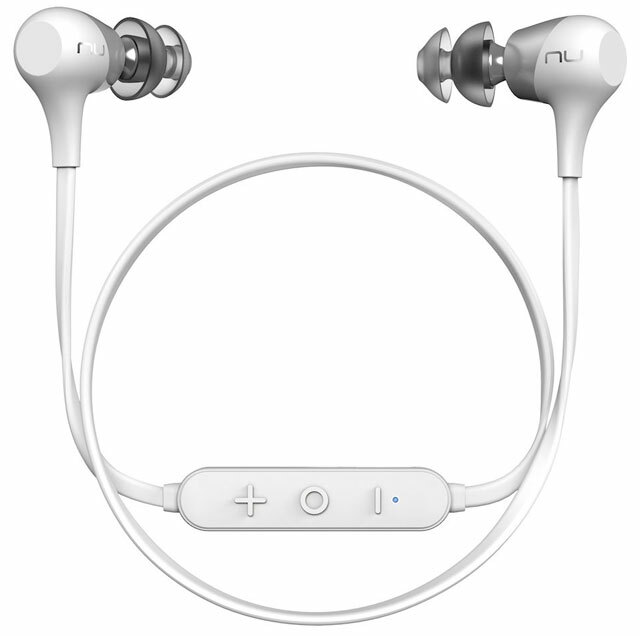 Some over-ear or on-ear models come with 3.5 mm jacks and include a cable to let you listen without Bluetooth. It's not universal, but it certainly isn't uncommon. Earbud-style Bluetooth headphones don't really offer wired alternatives. Here's a look at our favorite Bluetooth headphones selling for under $50. 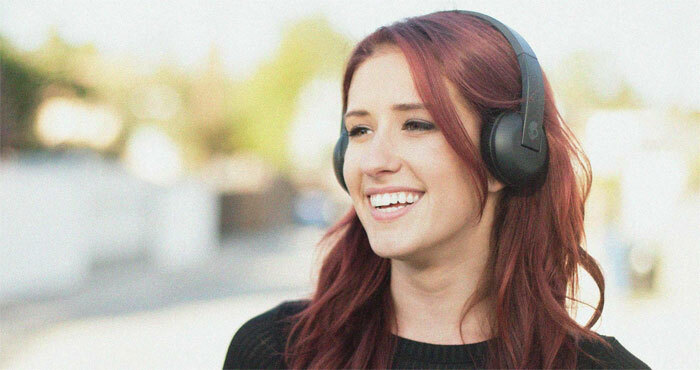 Hardly a household name, Ausdom undercuts just about every other competitor making over-ear headphones, and has managed to add some quality to boot. The design probably looks better than the price implies, but the gist is that they're made to punch above their weight. Ausdom says the headband and earcups are made of "high-grade leather," though it's hard to discern what that really means. They're foldable for easier transport and lightweight enough to not feel heavy when you wear them for longer listening periods. An onboard microphone enables hands-free calling, but there's no dedicated button for accessing a voice assistant. Frequency response isn't overly wide, yet the headphones offer reasonably balanced fidelity with a surprising side of bass. 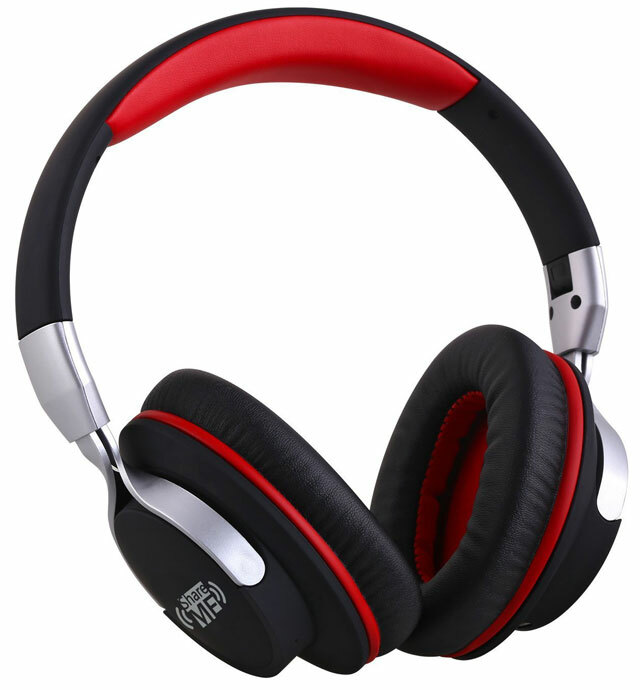 They support ShareMe, a technology allowing two headphone-wearers to stream from the same audio source over Bluetooth. Battery life is rated at 18 hours of music playback and 20 hours of talk time. A cable's included in the box for wired playback whenever the battery dies or you want to conserve. A full charge takes about three hours. 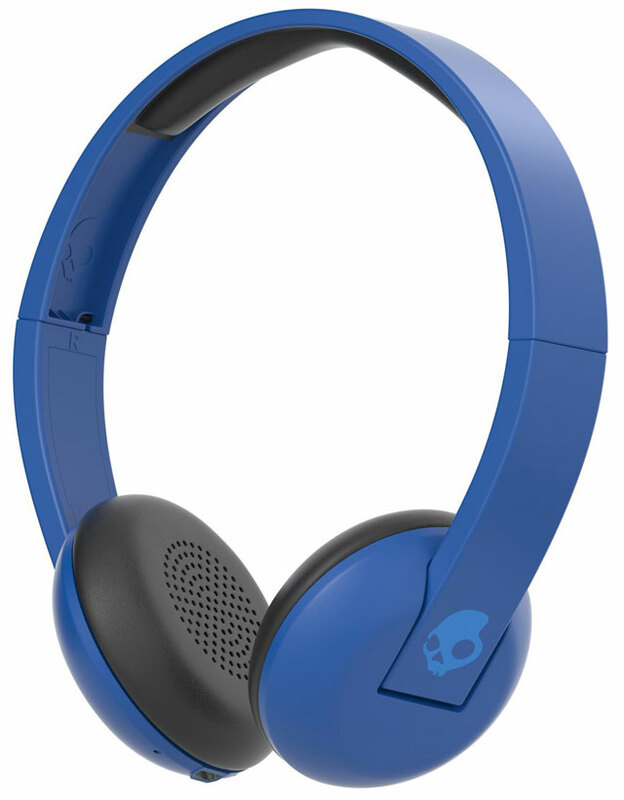 Skullcandy has some brand recognition as an upstart in the audio space, and the Uproar Wireless is an on-ear pair that plays well and comes in a myriad of colors. Uproar covers the ears, but doesn't cup them entirely like over-ear headphones do, so there's room for some ambient noise to bleed in — though these do a decent job of isolating audio. Padding on the headband isn't especially thick, which does help lower the profile — potentially also impacting comfort. Well-built, with hinges to make them foldable, the Uproar Wireless's overall footprint is sleek. Onboard controls abound: Volume, track navigation, hands-free calling and voice assistant access are all rolled into the limited real estate. The sound signature skews to a safe compromise that isn't too tinny or muddy, so while they may not impress audio sticklers, the output is better-than-expected sound. This makes them versatile, both sonically and stylistically. While not groundbreaking, the 10-hour battery life rating per charge is good enough to cover most audio sessions, be they at the gym or on a flight. 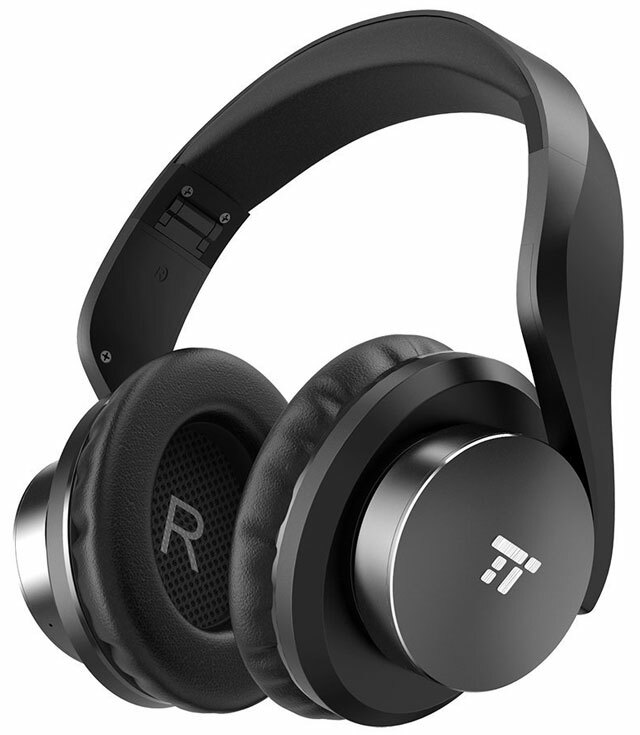 Noise-cancellation has traditionally been a feature reserved for pricier headphones, so this pair from TaoTronics is something of an outlier. An over-ear design with decent style to give it a little flair pairs with good performance based on selling price. With relative thickness to the headband and earcups, there's reason to believe wearing these for long periods wouldn't feel too constraining. They're foldable, too, and come with a carrying case. Noise-cancellation is based on the CVC 6.0 generation of the technology, which has a greater impact on hands-free calls because the built-in microphones can pluck out voices from background noise. Still, the feature will work for any audio streaming to the headphones. Sound quality is neutral enough to please most. And you could use an equalizer app to bring more out of this pair, which can already output an effective soundstage. TaoTronics claims up to 25 hours of playback per charge, with a full refill taking about two hours. The company throws in a cable for wired playback as a backup to keep the music going. 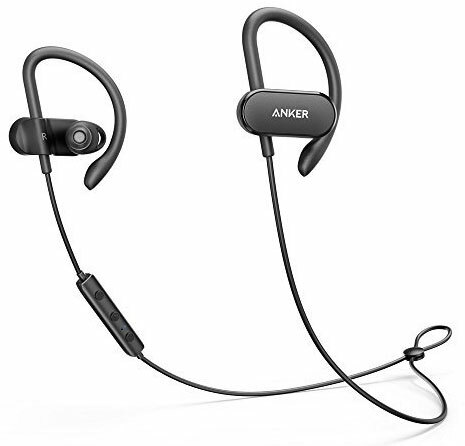 Wireless earbuds, meaning the kind that don't physically connect to a device, yet have a cable connecting the two earpieces, have been dropping in price. The NuForce BE2 are a pair that will make you feel like you scored a good deal. Little nuances add value to these budget earbuds. A flat cable to avoid tangling, voice prompts to learn battery and connection status and corkscrew earbuds for the ears that benefit most from them. Up to 10 hours of battery life per charge is another benefit that's easy to appreciate. An onboard microphone with playback controls on the cable simplifies navigation. And they're rated IPX5, so they're sweatproof. One caveat to these is their compatibility. They support the AAC format Apple uses on its iOS devices for Bluetooth audio streaming, but not the aptX format so widely used by other mobile devices. So if you're using an Android phone or tablet, the NuForce BE2 aren't the best choice. With full support for aptX HD, the SoundBuds Curve Wireless are ideal for Android users in that they support the latest Bluetooth audio streaming protocol. CVC 6.0 noise cancellation support helps the cause when you're on the phone with someone. Both silicone gels and memory foam tips are included — in four different sizes — to ensure you find the right fit. A water-resistant body will keep the music going through sweat-filled workouts and a jog in the rain. Anker rates battery life at up to 12.5 hours per charge (14 hours of talk time), though that largely depends on the volume level. Quick-charging functionality means a 10-minute charge can squeeze out 60 minutes' worth of audio. Charge it for 90 minutes to go from empty to full. The overall soundstage isn't so much dynamic as it is balanced. You'll get good bass with reasonably good highs and mids. The 18-month warranty is longer than the standard 12-month period manufacturers usually offer, so you'll have a little extra peace of mind. 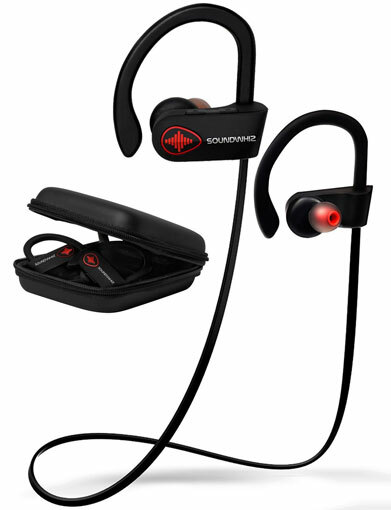 For those looking for wireless earbuds with a lightweight design and smaller footprint that are also durable enough to withstand the rigors of the gym or regular jogs outside, SoundWhiz's Bluetooth headphones fit the bill. And they have earhooks on both sides to keep them anchored onto your ears for added stability. That these have active noise-cancellation included is really a bonus. The IPX7 rating means they could withstand up to one meter of water for up to 30 minutes, which is great, but it may be more relevant for resisting sweat. Salt from perspiration can adversely affect any pair of sports earbuds, so rinsing and wiping them dry can help avoid degradation. Sound quality is neutral. There's enough bass to handle the low end of the audio spectrum, with good highs to let vocals come through. They're also fairly loud at half volume.